The Masque Grande pendant is a unique beauty. 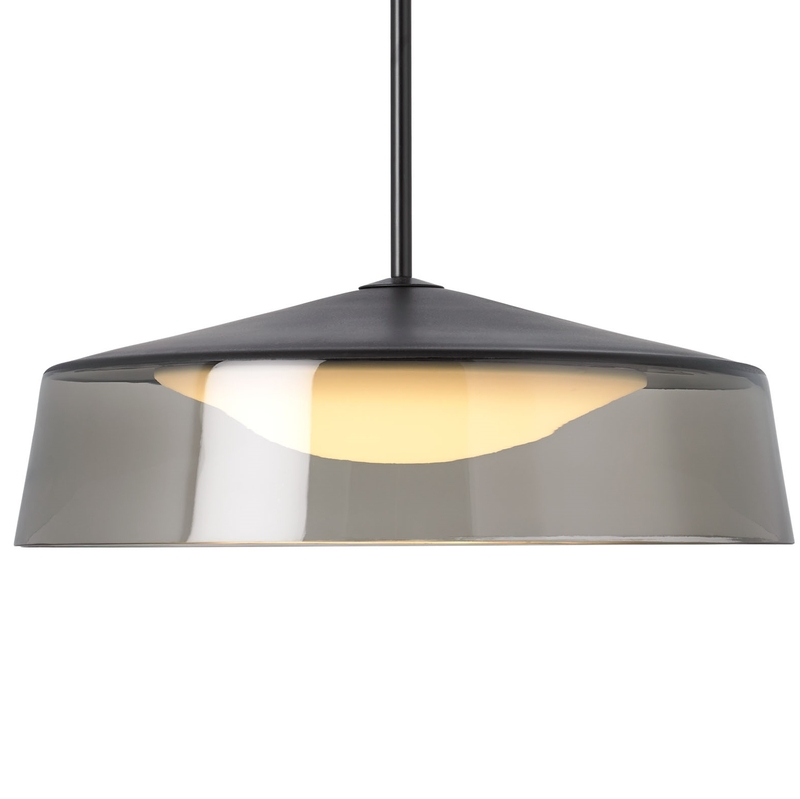 This impressive, large, one-piece blown glass shade features a mid-century modern silhouette with a meticulously painted crown. Perfect over a kitchen table, or wherever you please. A diffuser evenly distributes the output of the LED light source. Features smoke glass and black crown. Available in black, satin nickel or white hardware. finish. Includes 22 watt, 1300 net lumen, 3000K, field replaceable LED module. Fixture provided with integrated ball joint to accommodate up to 45° slope. The height of the fixture is customizable with three interchangeable threaded down rods included, one 6”, one 12” and two 24” . From canopy to top of shade there is 66" of adjustable height. Dimmable with low-voltage electronic dimmer.